This museum is incorporated within the vast complex of the Basilica of San Lorenzo which, as the parish church of the Medici family, was lavishly decorated. It was here that members of the family were buried from the mid-15th century onward. 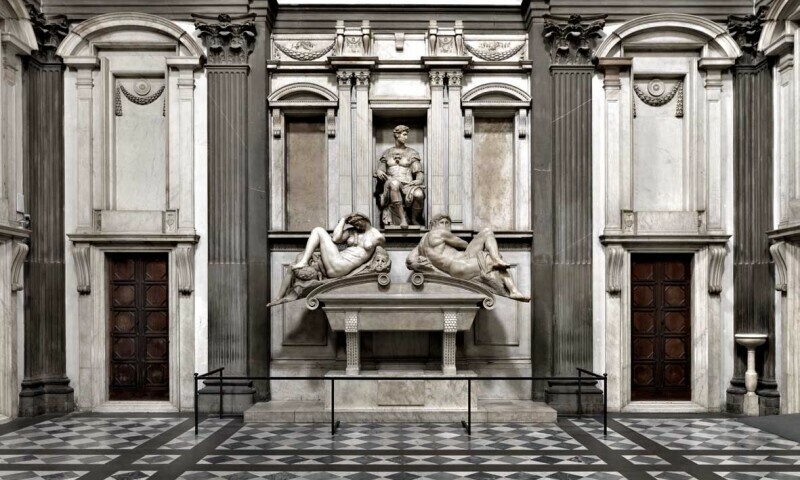 The museum is especially known for the New Sacristy, which Michelangelo designed for the tombs of Lorenzo and Giuliano de’ Medici – creating one of the masterpieces of architecture and sculpture of the Italian Renaissance. The Chapel of the Princes was begun in the early 17th century to become the mausoleum of the Medici Grand-Dukes. This magnificent octagonal chapel, with its immense dome, is entirely faced with polychrome marble and pietre dure.